"The Right wing are all about the sanctity of human life as long as that life is a foetus - but have a lack of concern for society." "The Right wing are all about the sanctity of human life as long as that life is a foetus." 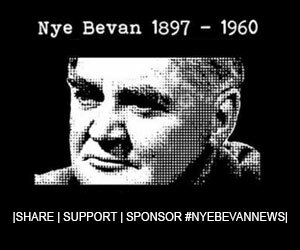 Next articleTommy Robinson supporter explains to other Tommy Robinson supporters why ‘Tommy Robinson is in the wrong’ – citing a Nye Bevan News article.